This is the guide to install Cinnamon desktop on Fedora 18. 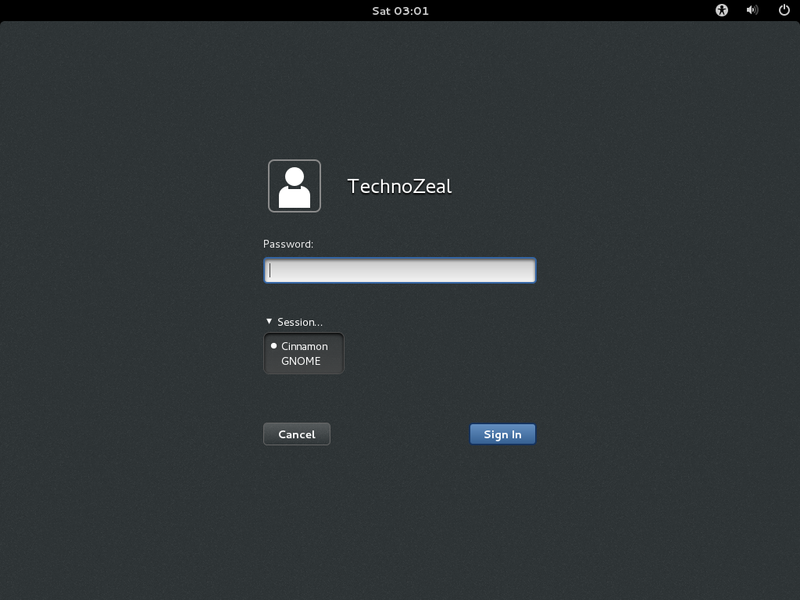 You can also install the software tools under Activities >> Show Applications >> System Tools >> Software. Do a search for cinnamon on the top left corner. 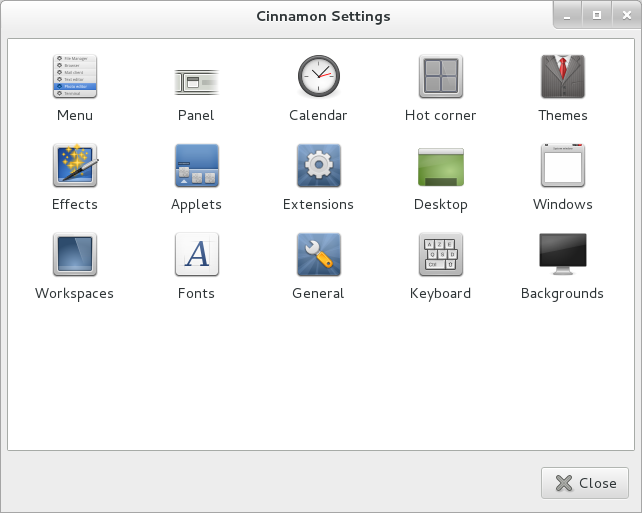 Check on cinnamon-desktop and click "Install Package"
After installation you may need to logout or restart the system. 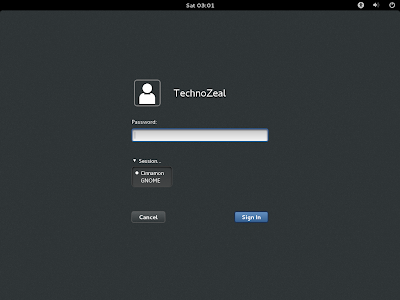 On the login screen (shown below) click on the arrow next to the word session and select "Cinnamon"
Please note that you can configure the bottom panel to appear on top. To do that you need to launch "Cinnamon Settings". 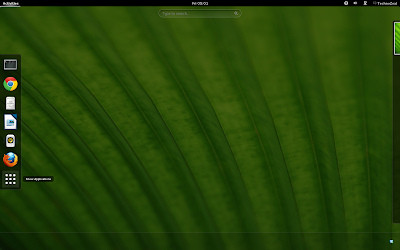 You can launch from menu (The first icon on the favorites list) or you can launch from the panel by clicking on "^". 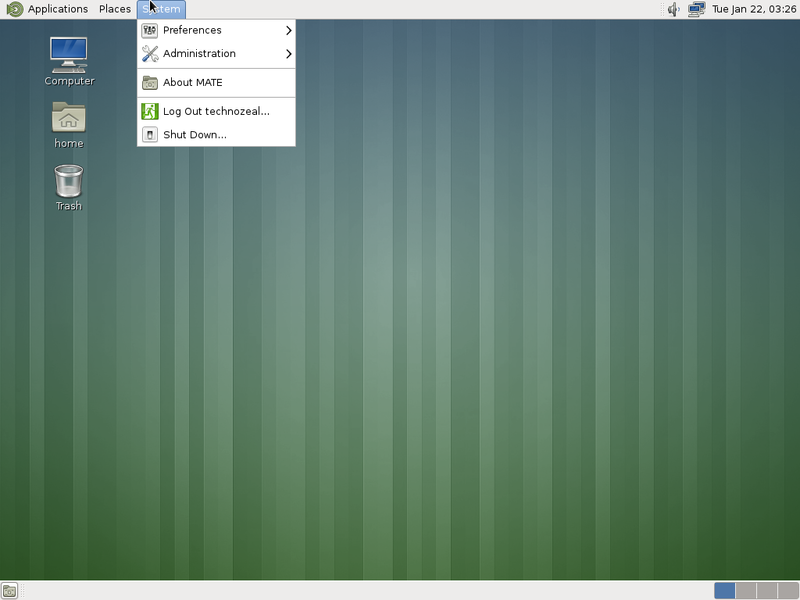 Select "Panel" to flip the panel to the top. Use the settings as shown below. For the setting to take effect, you need to logout and login again. The desktop is shown below. You can add additional applets by going to Cinnamon Settings >> Applets. 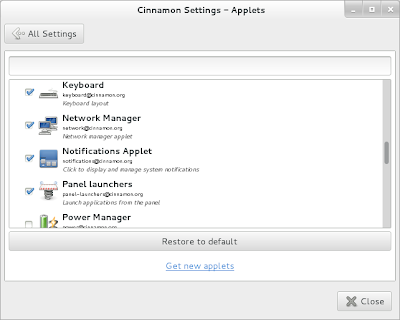 If you can find what you want click on "Get new applets" or go the the Cinnamon Applets page. 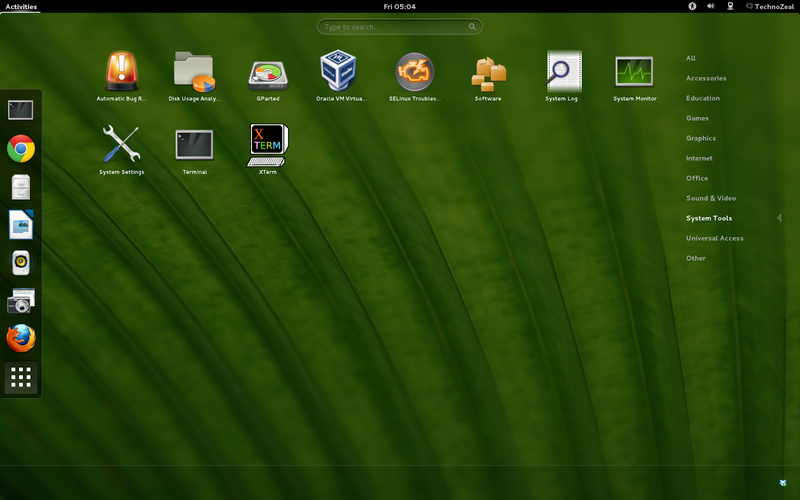 Download the applets you want and decompress it in ~/.local/share/cinnamon/applets/ folder. 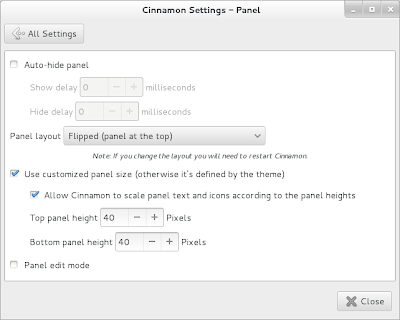 You can customize many things under Cinnamon Settings. 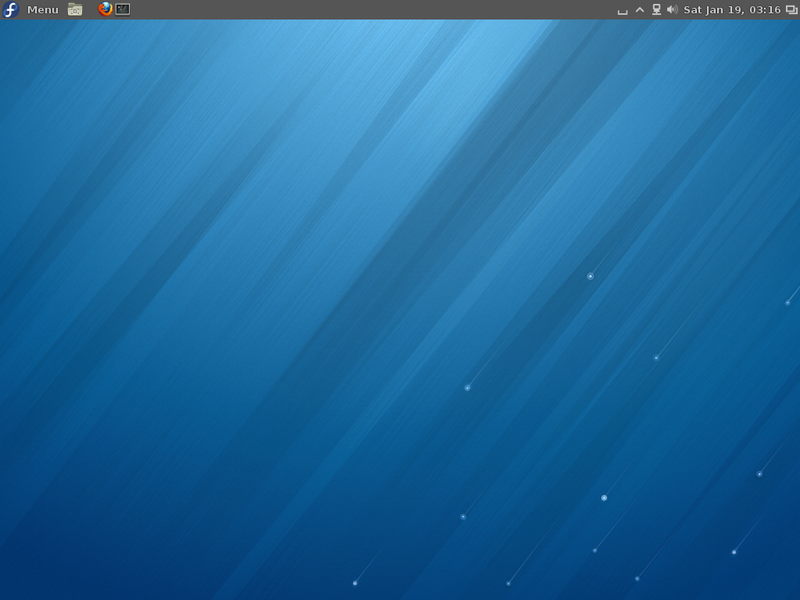 You can change keyboard shortcut, set hot corners, add workspace and change windows effect. Please feel free to explore and experiment with the settings. This procedure is to install Oracle VirtualBox on Fedora 18. 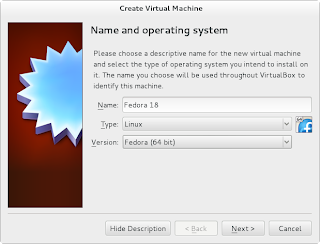 You can also use the same procedure to install VirtualBox on Fedora 15, Fedora 16 and Fedora 17. 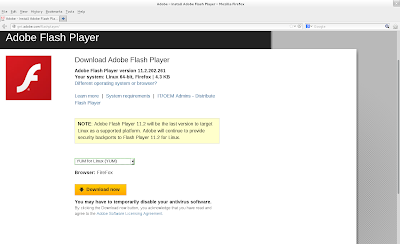 For Google Chrome user, you do not need to install Flash Player since Google Chrome comes with its own Flash Player plugins. For Firefox user, you need to install Adobe Flash Player to play embedded video from YouTube and various websites. 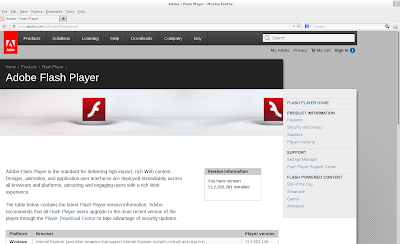 This installation guide allows user to install Adobe Flash Player on Fedora 18. 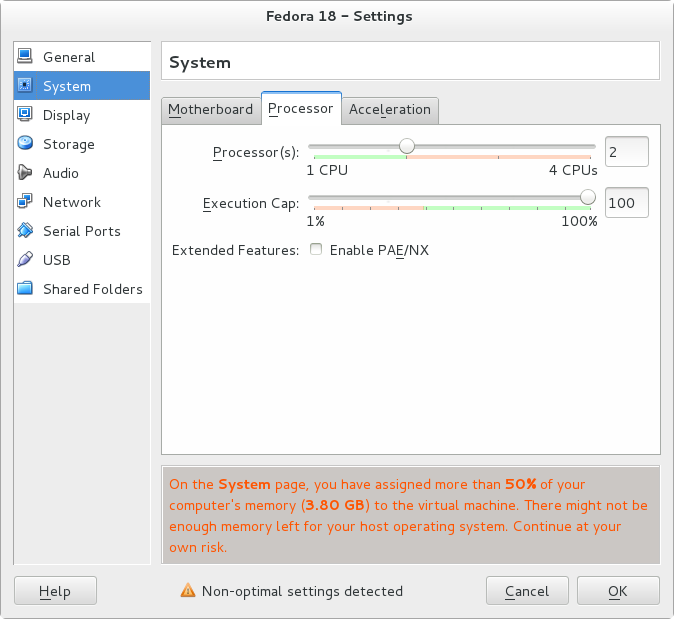 The procedure is the same as the previous Fedora version therefore, you may also use the following procedure for Fedora 15, Fedora 16 and Fedora 17. Select "Yum for Linux" as shown below. 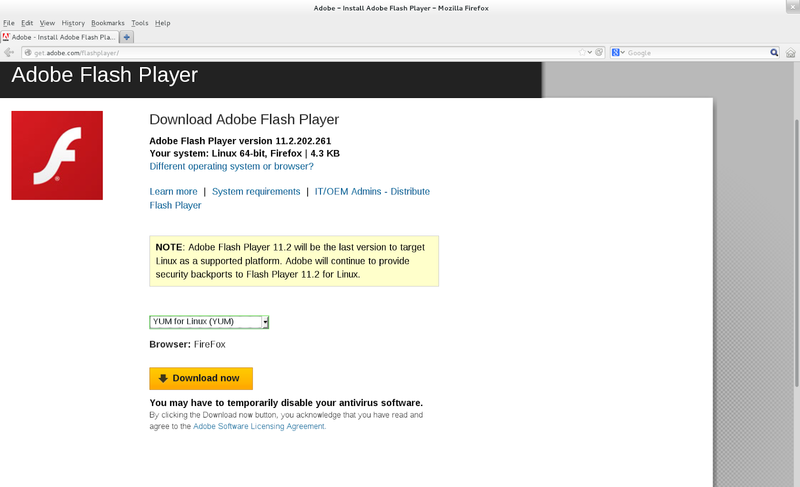 Refresh your browser and go to https://www.adobe.com/software/flash/about to verify your plugins installation. A little box will shown which version you have installed as shown below. Alternative, you can visit https://www.youtube.com to test some of the videos. 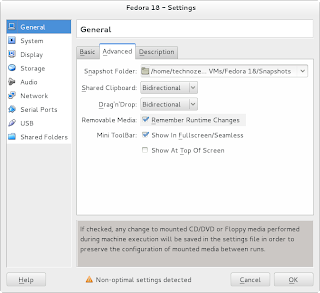 This installation guide has been tested for Fedora 18. 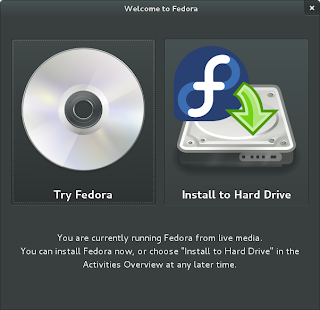 However, you can also use the same method to install Dropbox on Fedora 16 and Fedora 17. 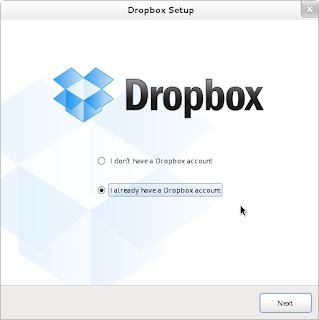 To install Dropbox in Fedora 18, we need to configure a Dropbox repository and perform a yum install from the system terminal. 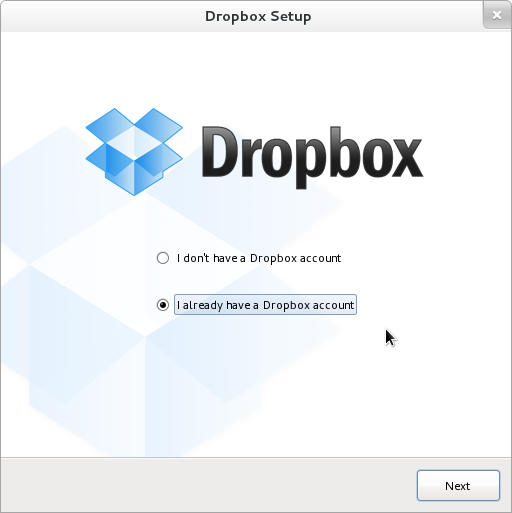 After installation is done, you need to run Dropbox (Show Applications >> Internet >> Dropbox) application to complete the installation and configure an user account. 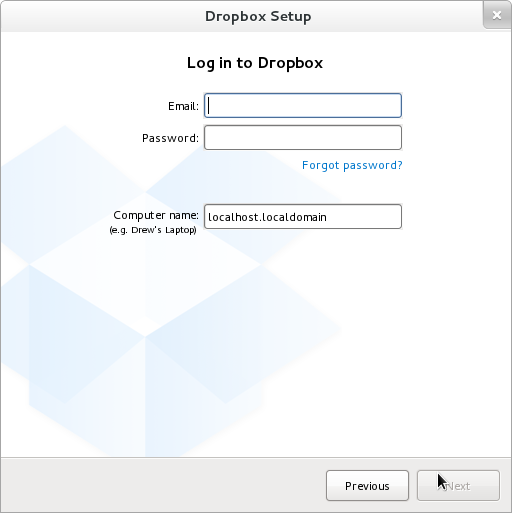 Enter your Dropbox account information and follow the installation. echo "Important! The installation is NOT complete!" 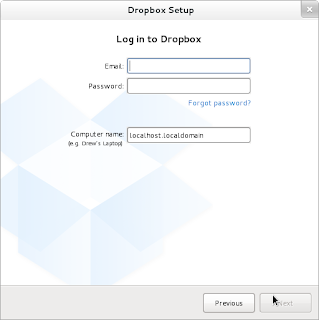 echo "You need to activate the dropbox program to complete the installation and configure a user account. 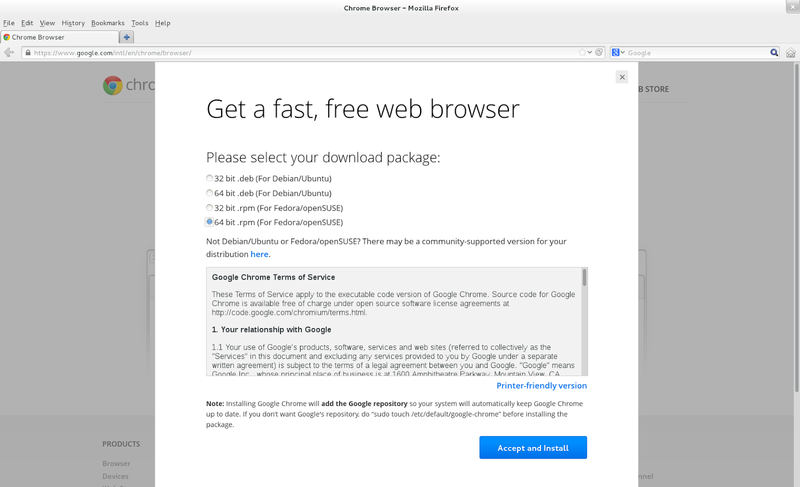 The program is under Applications >> Internet >> Dropbox"
echo "For Fedora 18, go to Show Applications >> Internet >> Dropbox"
The recommended way to install Google Chrome is to navigate to the Google Chrome site at https://www.google.com/chrome, the site will automatically detect your operating system and display the appropriate download for you. 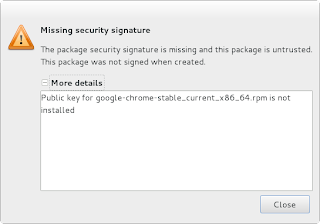 Please note that you only need to download the public key only once for all Google products in Linux. 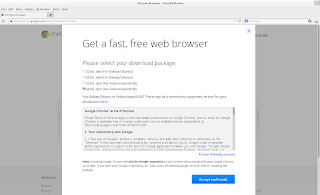 Then, you visit the site https://www.google.com/chrome. 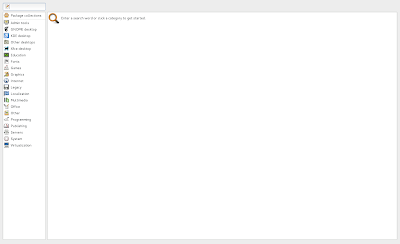 The site will detect you operating system and display the appropriate download page as below. 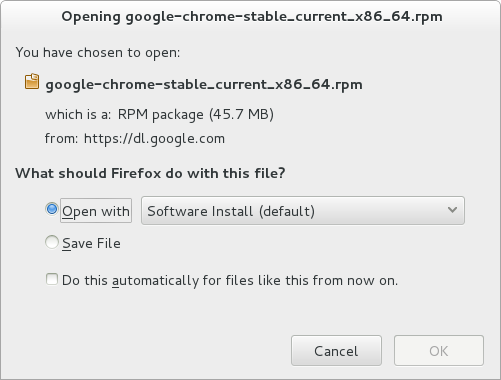 Select "64-bit .rpm (For Fedora/openSUSE)". Click "Agree and Install". 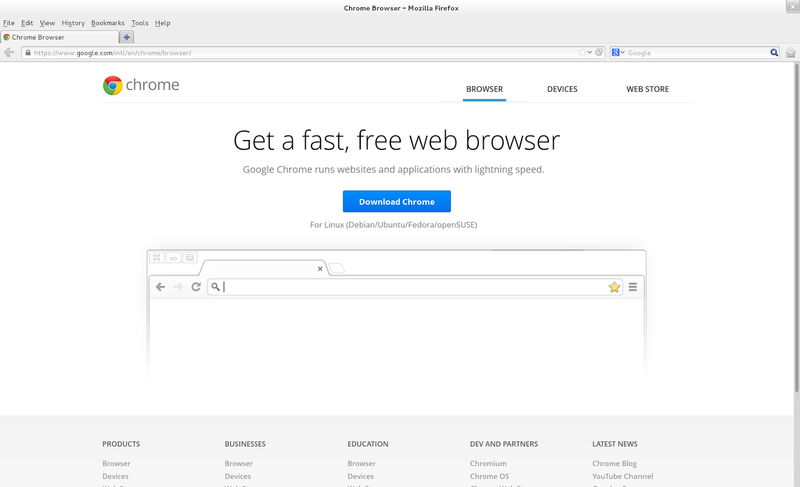 If you are using Firefox browser, it will display a box as above. 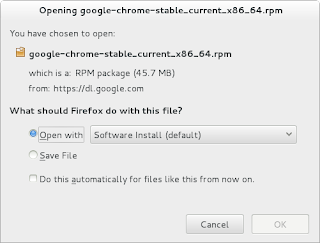 Select "Open with Software Install" and Click "OK". Click "Install". 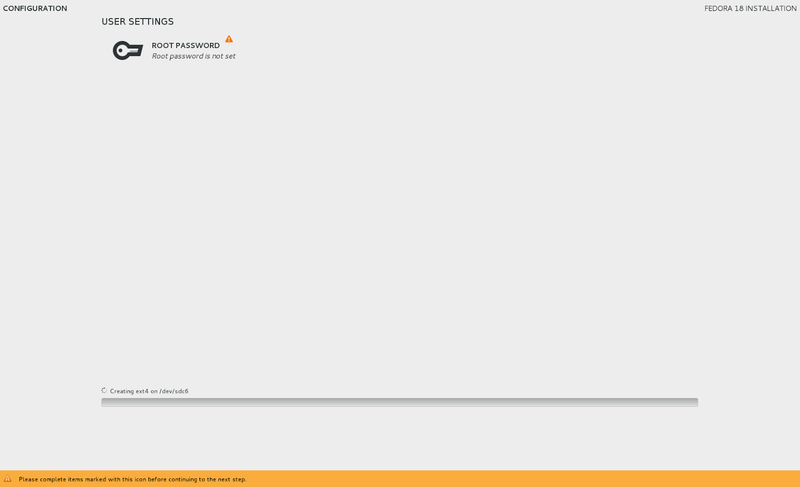 You need to enter your password to authentication. 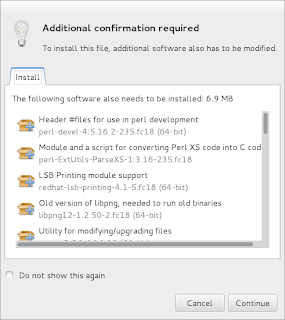 Depending of which software you have installed previously. You may received an additional box that inform you to install additional dependencies software. 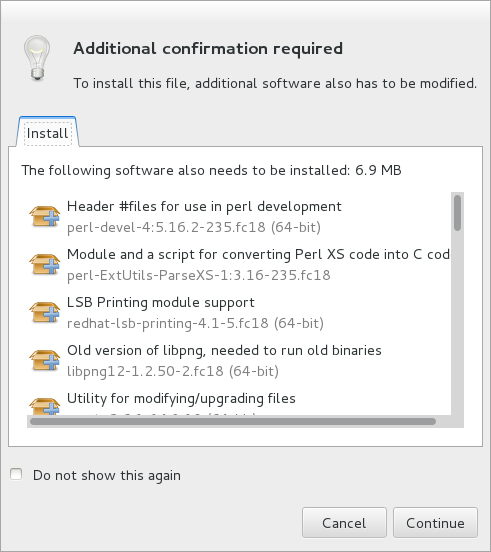 Install any dependencies software as per recommendation. 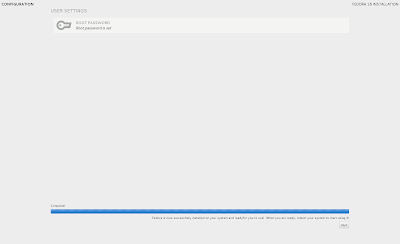 Click "Continue" to complete the installation. The installation will complete after a while. 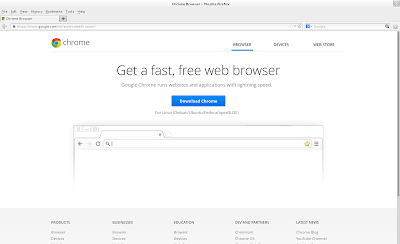 To confirm, Google Chrome is located under Show Applications >> Internet. 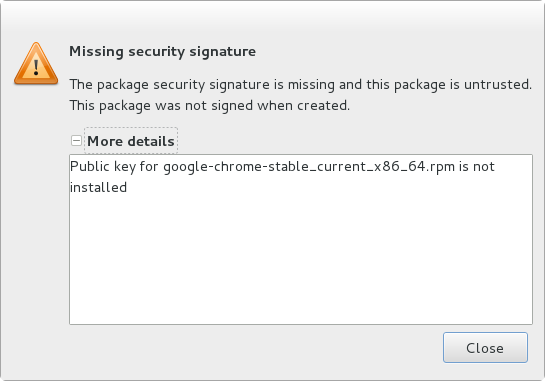 If you received the following error, you have not downloaded Google's public key yet. Please following the instruction above. 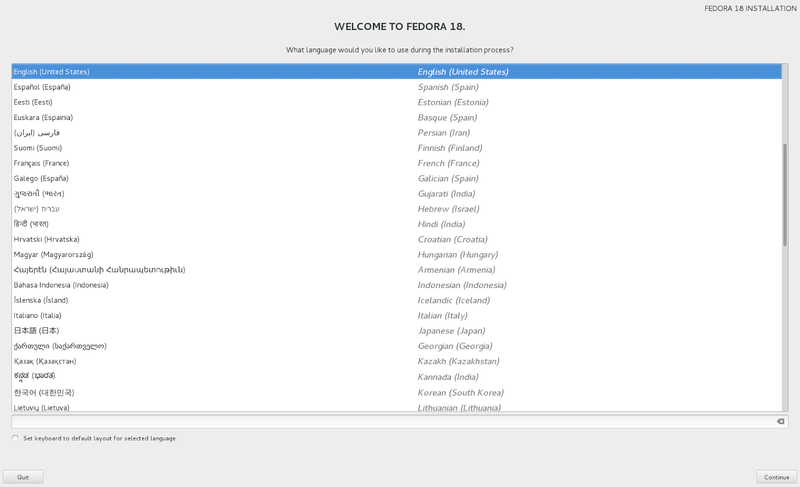 This is the post installation software configuration guide for Fedora 18. 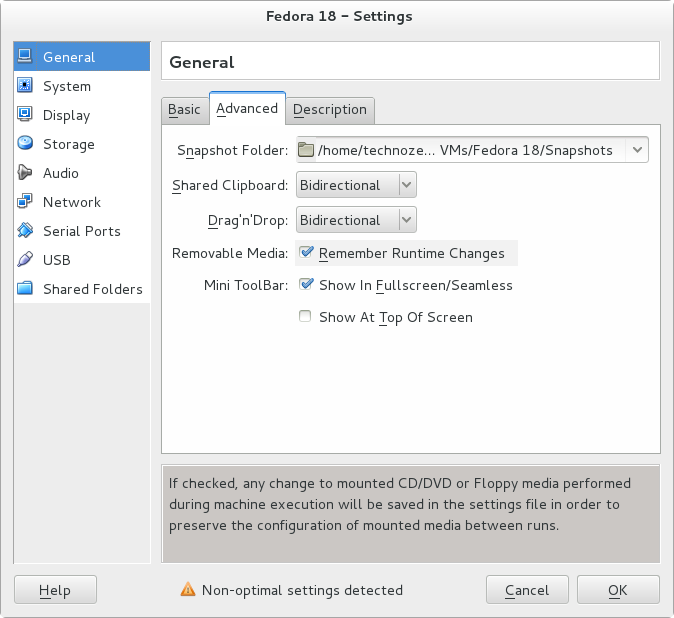 For installation of Fedora 18, please refer to Fedora 18 Installation Guide. 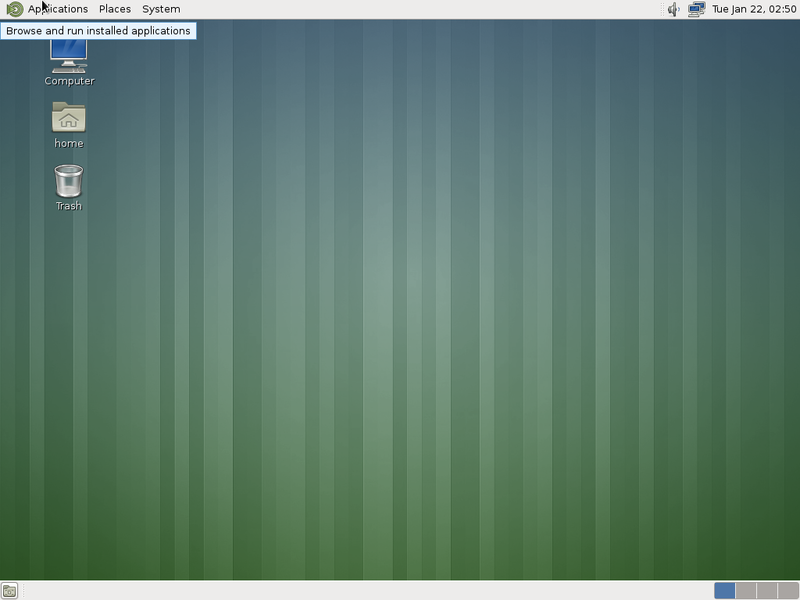 After installation of Fedora 18, the first thing you need to do is to update the system. 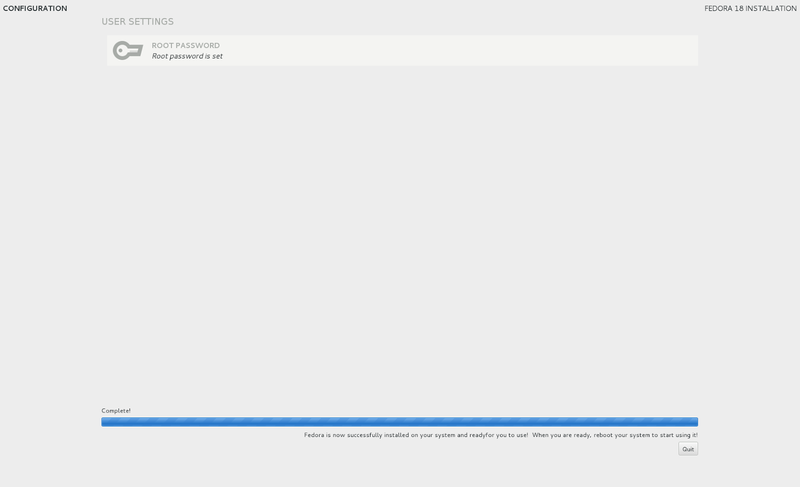 You can perform system update by going to Show Applications >> Software. The "Show Applications" icon is the last icon on your favorites bar. Once the "Software" application is open. 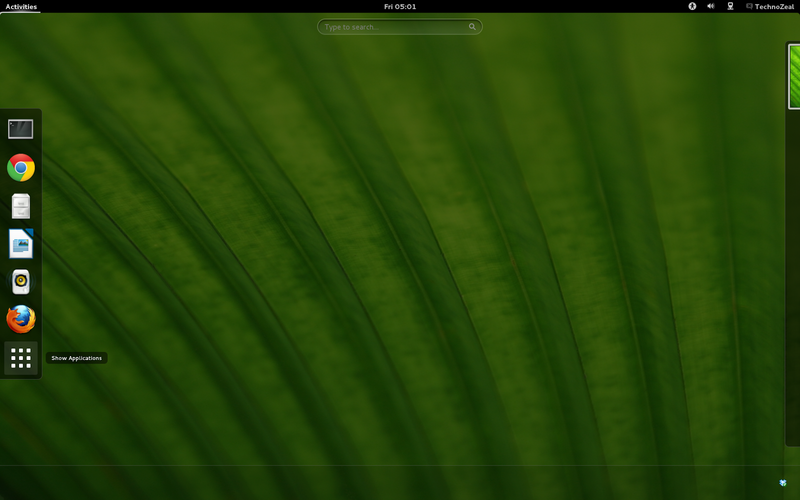 Click "Software" on the top menu bar and select "Check for updates". 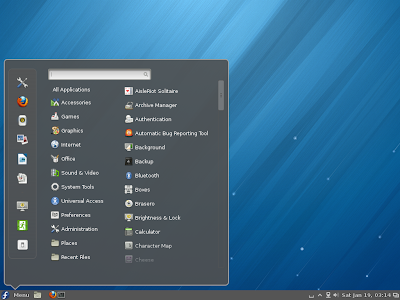 Some of the essential software applications were preloaded with Fedora such as Libra Office and Firefox. 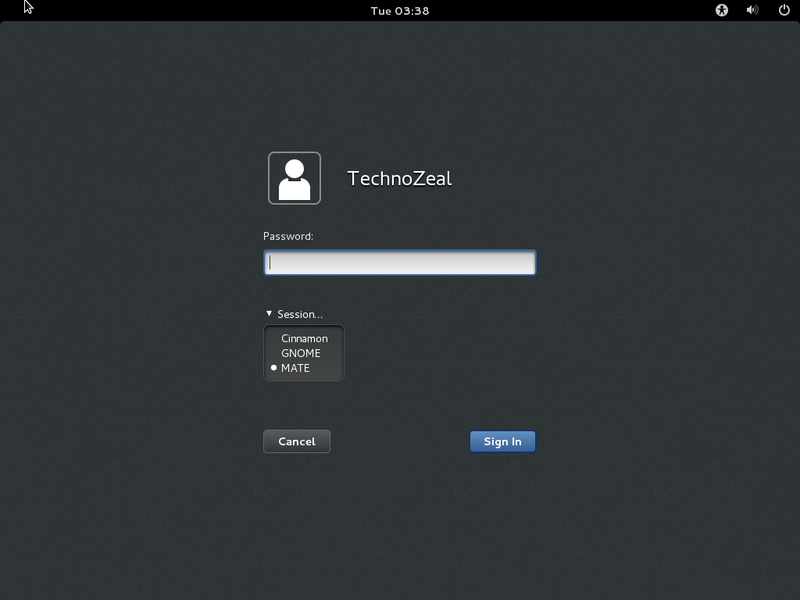 To install new software application, navigate to Show Applications >> Software. Enter the software package you desire and this utility will search through the software repository for the application you want. You have the option to download and install it. 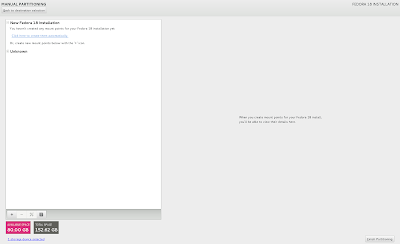 Gthumb is a small image editor. 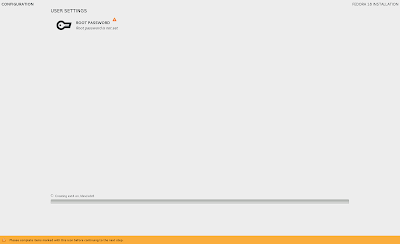 To set VLC as the default player, click your "username" on the top right corner. Select "System Setting". Select "Details" on the last row. Select "Default Applications". Under "Video" select VLC as your default application. 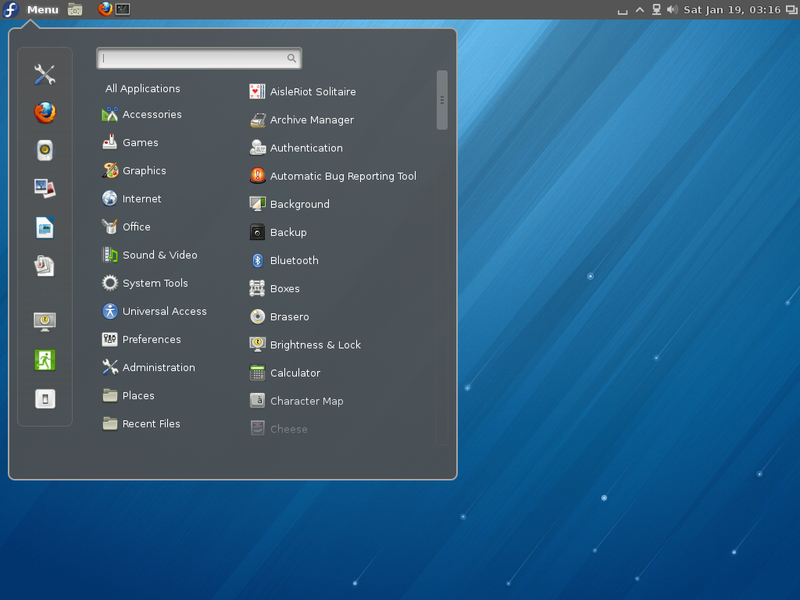 What you need to know about Linux Partition? All Linux system requires a minimum of 3 partitions, they are /boot (use booting up the system), /swap (use for virtual memory) and / (the root directory contains the entire system). 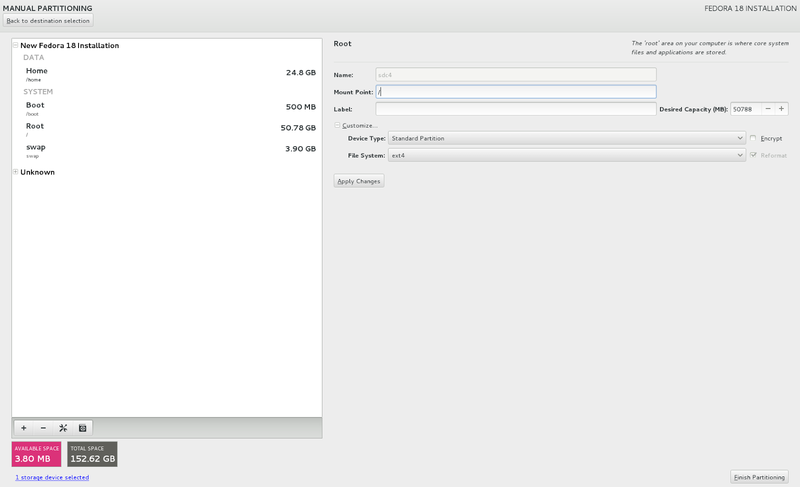 If you want to separate the system folder with user data, you can configure and additional mount point for user data such as /home. 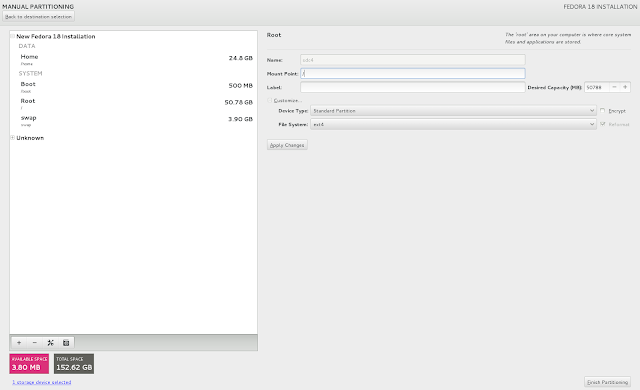 You can allocate whatever hard disk space necessary for user data. 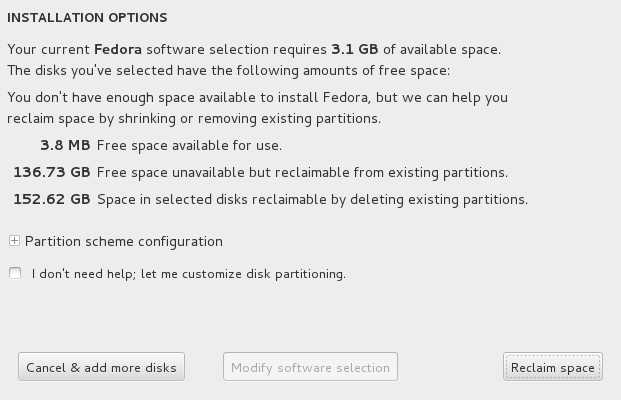 In Fedora 18, there are 3 different types of partition. 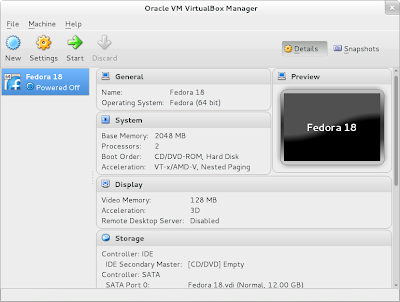 They are "LVM", "Standard Partitions" and BTRFS. BTRFS is a very new partition type actively develop by Oracle and can be quite unstable according to wiki. I do not have enough information to judge. LVM partition is the default partition type, it allows user to add addition hard disk space by adding a physical drive and extend the logical partition across multiple physical hard disk. 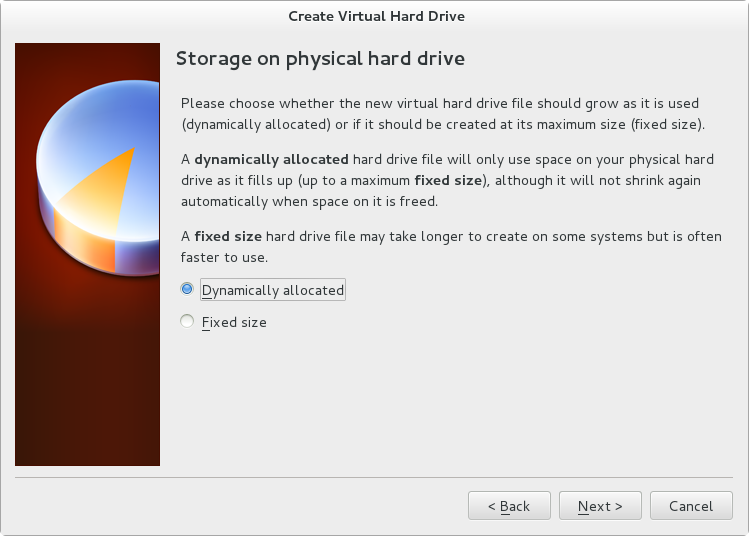 Under LVM mode, your /home partition might be store physically across several hard disk. I would recommend LVM partition for file server. However, I would prefer standard partition for home user especially if you have plenty of hard disk space. 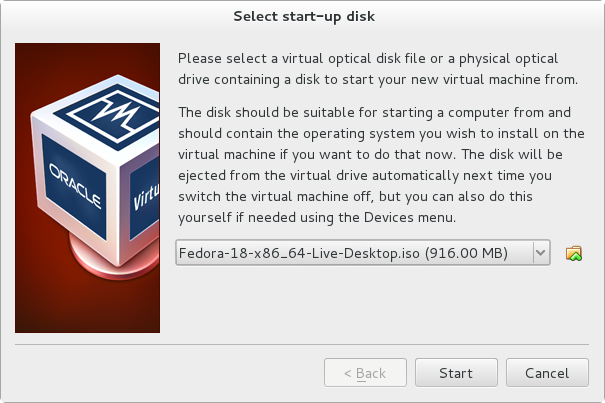 The only disadvantage in LVM partition is that if the OS is corrupted and unable to boot, it is almost impossible to retrieve the data by using another copy of the same OS booting from CD or flash drive. The logical partition is closely tie to a particular installation. This disadvantage can be a security measure for a file server. This section is to get you familiar with all other file system so that you don't delete a wrong partition when you are configuring the disk partitions. 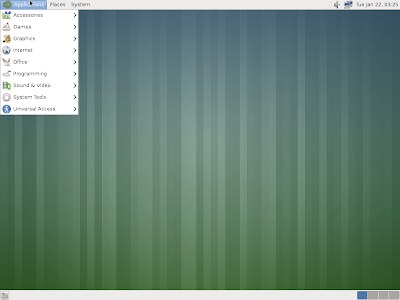 Almost all Linux distribution uses ext4. If you are using an older system with an old partition, you might encounter ext3 file system. If you are using a mixed system that includes Windows operating system, please be aware that Windows used NTFS. Most of the smaller size removable hard drive use FAT32. Most thumb drive uses FAT. Linux name your fist physical hard disk as sda, second hard disk as sdb and so on. With the physical hard disk, regardless of the file system use, each partition is name sda1, sda2... and so on. 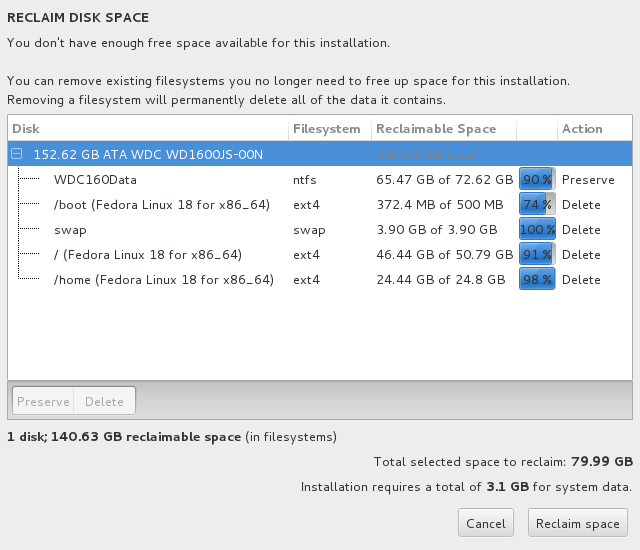 If you have existing partitions on a hard drive and you do not have any free space, you need to reclaim the disk space by deleting exisiting partitions. Click "Reclaim space". The screen below shows the hard disk which I want to install Fedora 18. To reclaim space, I need to remove the existing partition from the previous installation. In this hard disk, I have a NTFS partition which store data from my Windows operating system. I do not want to remove that partition and loss all the data. 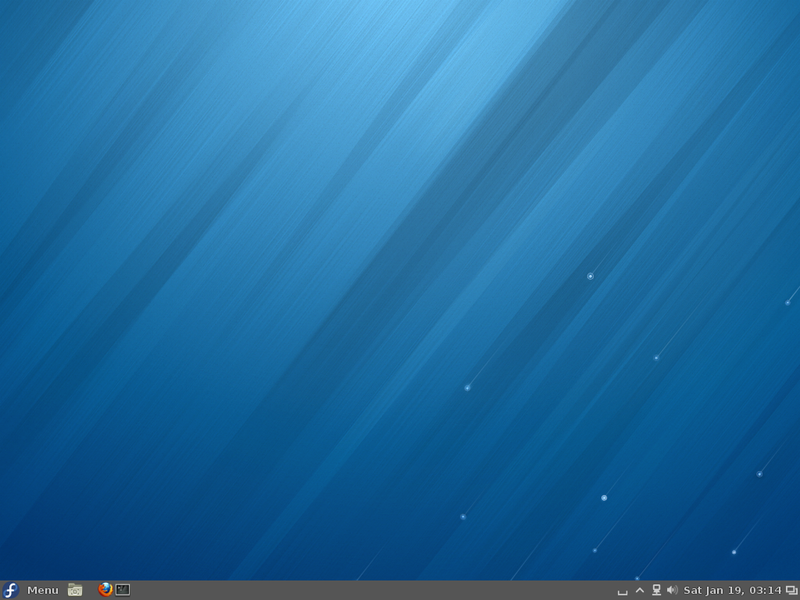 All I need to do was to remove the Linux partition /boot, /, swap and /home. 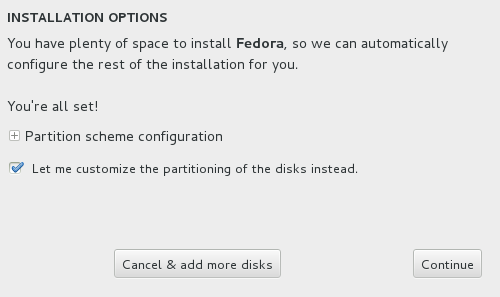 Select the partition you want to delete and click "Remove". 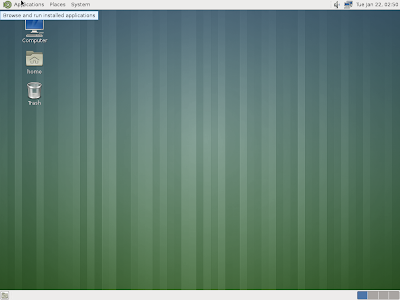 The above screen shows all the partitions that I would like to remove. 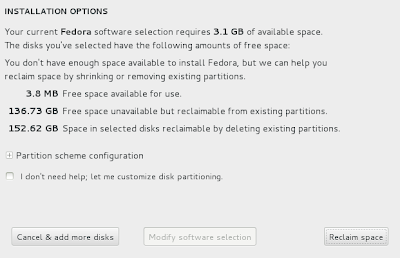 At this point none of the partition is deleted, if you made a mistake, select the wrong partition and click "Preserve" to revert back. Click "Reclaim space" when ready. 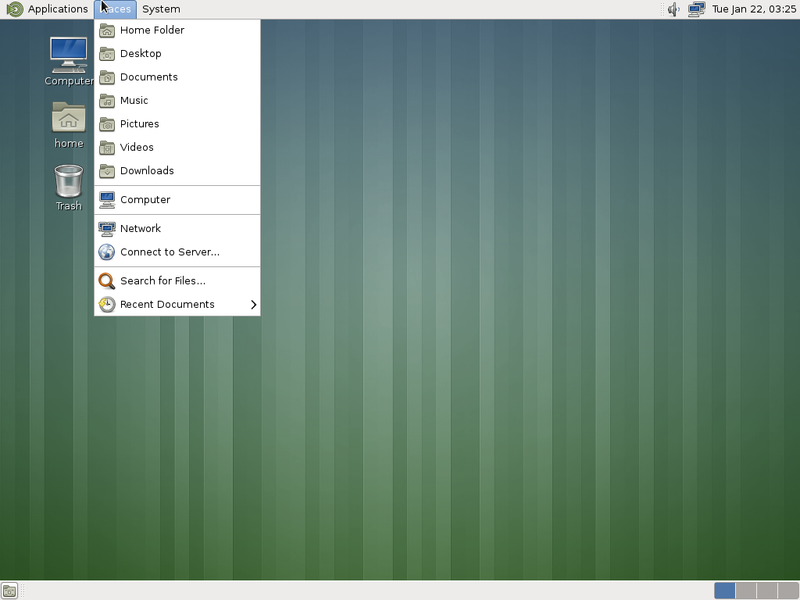 The installer will bring to the previous screen as shown below. After you've reclaim the space, the system immediate configures new partition for you automatically. 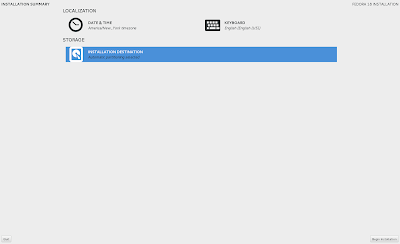 If you prefer manual intervention you need to select "Installation Destination" again. Click "Installation Destination" from the screen below. 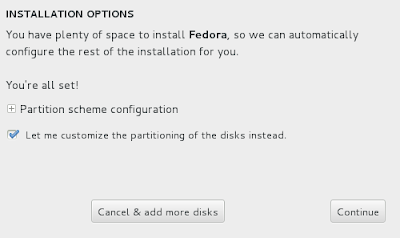 On the following screen, select the hard disk you want to configure. 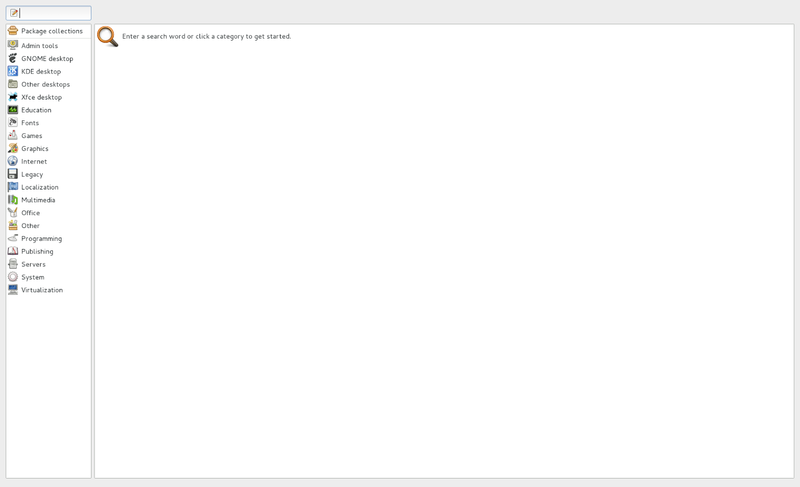 Click "Continue" at the lower right corner. 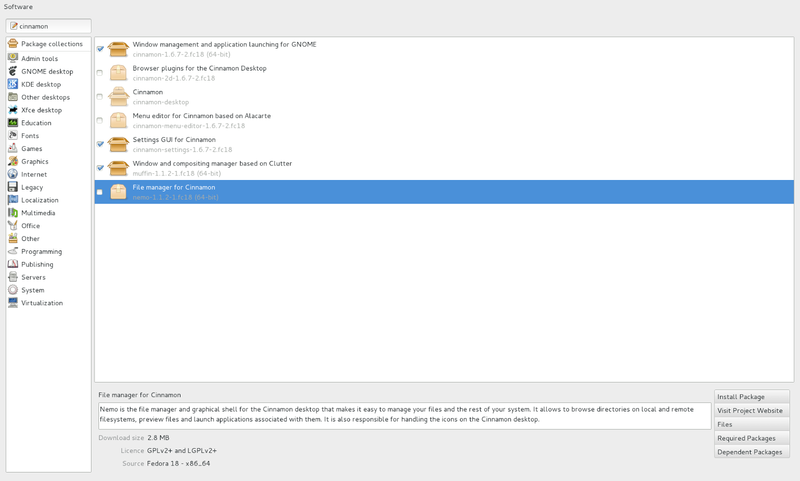 On the screen below, check the box "Let me customize the partitioning of the disks instead" and click "Continue"
The screen below allows you to create partitions manually. 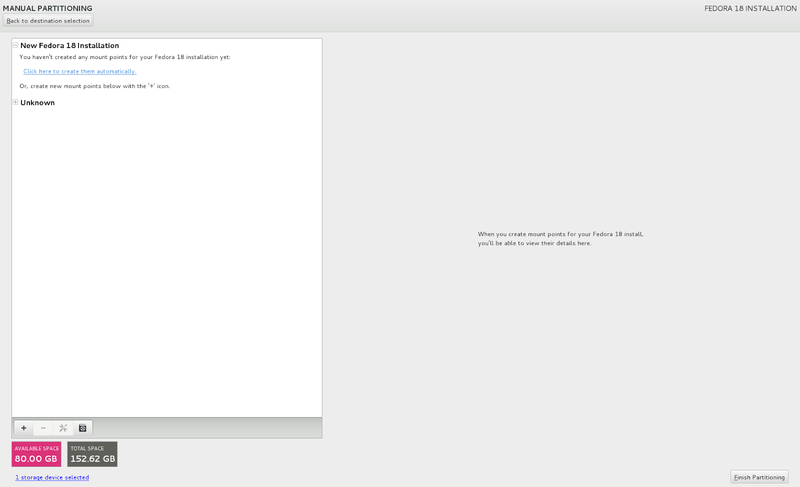 On the left hand side is the list of partitions being created. If you select any partition, the details will be shown on the right hand side. 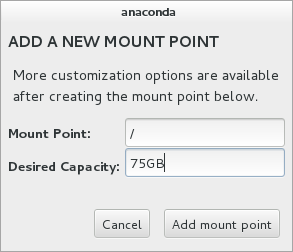 Configure the "Mount Point" and enter the "Desired Capacity". The system is able to differentiate between megabyte and gigabyte, you need to enter the desire capacity follow by a "mb" or "gb". If you leave the "Desired Capacity" empty, the system will commit the remaining disk space to the partition. 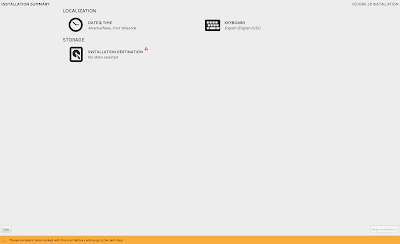 On the main screen, you can select each partition and examine the details. 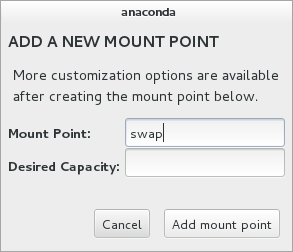 You can change the mount point or label the mount point. If you click on the "+" sign next to "customize". 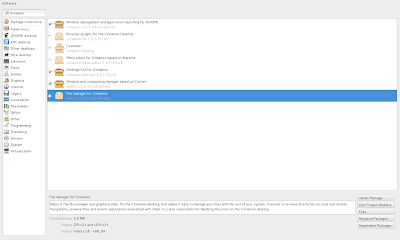 You can change the partition type and file system. One you are done with the manual configuration. 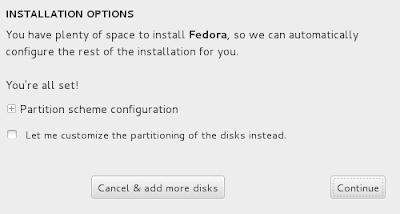 Click "Finish partitioning" and proceed with the normal installation.